USS Badoeng Strait was commissioned in November of 1945 at Tacoma, Washington. The vessel served in the Pacific over the next twelve years except for an eight-month stint where she was out of commission, which happened between April 1946 and January 1947. She was mainly used for anti-submarine warfare during her time in the Pacific in the 1940s, and then changed courses in the early months of 1950 to help with the Korean War effort. She took on Marine Corps aircraft and headed to the Korean seas in July of 1950, operating planes in combat operations until January of 1951. She was actively involved in Inchon Landing and the Hungnam Evacuation during this tour. 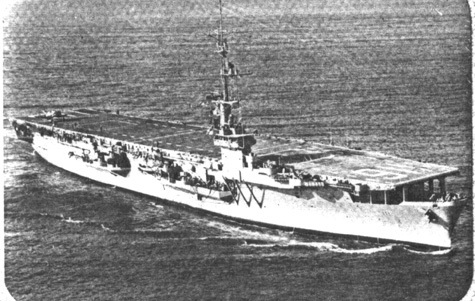 Badoeng Strait had two more deployments in the Korean War through 1953, providing support for anti-submarine planes and Marine Corps fighter-bomber planes. Her duties were largely dependent upon what was most critically needed at the time. The vessel was sent for overhaul after her final tours in combat, she was used in anti-submarine and vertical assault operations and made one final Far East tour in the 1950s. She participated in the 1956 Operation Redwing nuclear testing in the Central Pacific before being decommissioned in May of 1957 and sold for scrap in May of 1972.